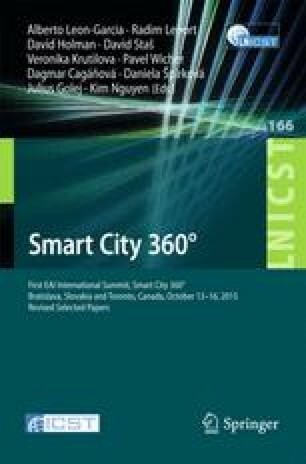 Technological progress, in relation with ubiquitous computing, has put forward the concept of ICT-based smart cities. This concept, which is related to the need of facilitating the daily life of citizens in the concerned cities, relies on the use of existing infrastructures of communication to develop adapted digital services. As such, the implementation of mobile services in the framework of smart cities is equally important in developed countries than in the least developed countries. In the latter (more particularly in sub-Saharan Africa), it is however to be noted that the most advanced technologies of communication are not always available. It thus prevents the immediate deployment of digital systems that are available in developed countries. Obviously, the provision of mobile services dedicated to sub-Saharan areas requires the consideration of the ambient environment in terms of social and technological perspectives. In this paper, we discuss the situation of public transportation in Burkina Faso and the needs of users regarding reliable systems to retrieve transit information. We also provide and evaluate a (realistic) SMS-based solution, leveraging the technological and social specificities of the sub-Saharan context, to enhance the dissemination of information about traffic and buses in the city of Ouagadougou (Burkina Faso).